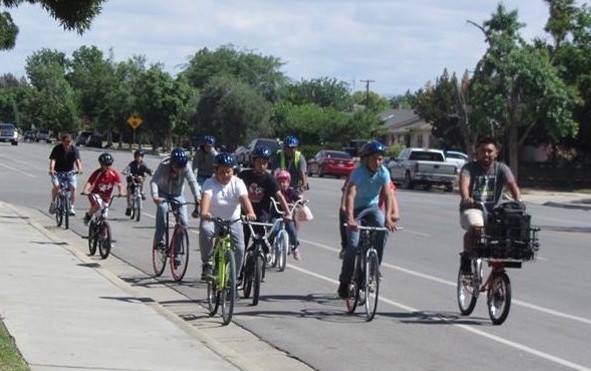 In Arvin, one of Kern County’s poorest cities, the Dolores Huerta Foundation received $20,000 to implement a bike sharing pilot program. The group has about 300 bicycles, many of them donated. 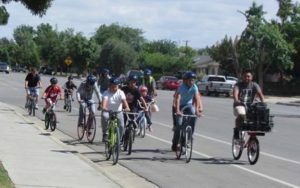 The foundation plans to use the money to research which parts of town would be best served with centers where they could be rented, advocate for more bike paths and purchase more bikes for residents, said Yesenia Ocampo, a health policy manager at the Dolores Huerta Foundation. Although it hasn’t launched yet, the foundation has already gotten to work, setting up a free workshop next week at Haven Drive Middle School to provide helmet fittings, bike repair and education on bicycle safety to riders. “We hope this bike sharing program not only promotes good physical activity … but brings policy changes and brings money for infrastructure so that residents can feel safe going out,” Ocampo said. The group partnered with graduate students at Cal State Bakersfield to conduct surveys, analyzing where residents want the bike centers located and how much they could afford to pay to rent a bicycle for a day. “We’re asking residents if it’s something they can afford to help us make it sustainable,” Ocampo said. The program should get off the ground by August, Ocampo said.